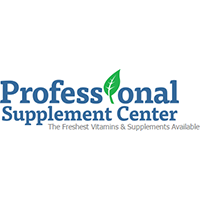 ● The majority of coupons released by Professional Supplement Center offer 10% savings on storewide orders. Some coupons will require a minimum order. ● Customers can also sign up to the store’s email list to receive coupons, exclusive offers, the weekly newsletter, and more. ● Shoppers can save an additional 10% on automatic reorders of vitamins and supplements. In addition to hands-free monthly reordering, they can lock in the price of vitamins and supplements for the entire reorder period. ● All orders ship for free within the 48 contiguous United States. Professional Supplement Center offers a massive range of supplements and vitamins for all dietary and health concerns imaginable. You can use this resource to find vitamins, supplements, and other products from all the leading brands, as well as a number of brands that you have probably never heard of before. You can shop for such products as A vitamins, amino acids, anti-aging, zinc, essential oils, fiber, E vitamins, D vitamins, multivitamins, multi minerals, special foods, and so much more. Professional Supplement Center can help you find multivitamins and more for men, women, children, seniors, teens, and even prenatal. You can also shop according to your particular health concerns or interests. For most up to date offers check out Professional Supplement Center on Facebook and Twitter or contact Professional Supplement Center Support for any questions.